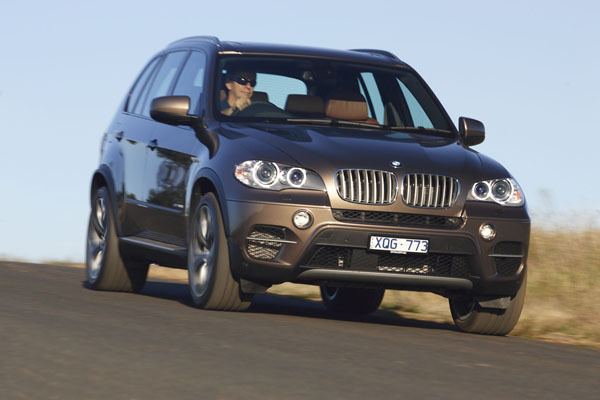 BMW X5 has been major player in the prestige SUV field for many years since being introduced in 2000. These original models are getting on in years so we will start this used car review with the second generation X5 launched here in March 2007. By this time BMW had realised few buyers wanted a real 4WD, so designed a high-riding station wagon that has very competent on road, but only had modest off-road ability. 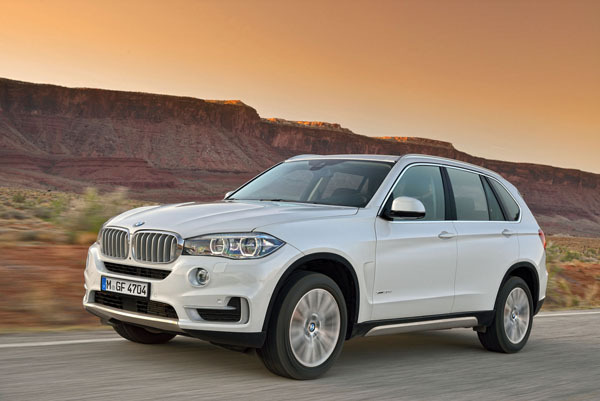 BMW called it an SAV (Sports Activity Vehicles) rather than an SUV (Sports Utility Vehicle). This gen-two BMW X5 was significantly longer and wider than the previous one and for the first time it offered the option of a third-row of seats. This area is more suited to young children, though adults can be squeezed in if need be. Luggage space also increased, but as is the norm in this class a lot of the volume is lost if you have the extra row of seats in use. The third generation BMW X5 arrived here in November 2013. It had a big emphasis on technology, hardly a surprise as BMW had long been one of the leaders in this field. It had an integrated smartphone or a built-in SIM card, to access BMW’s ConnectedDrive. 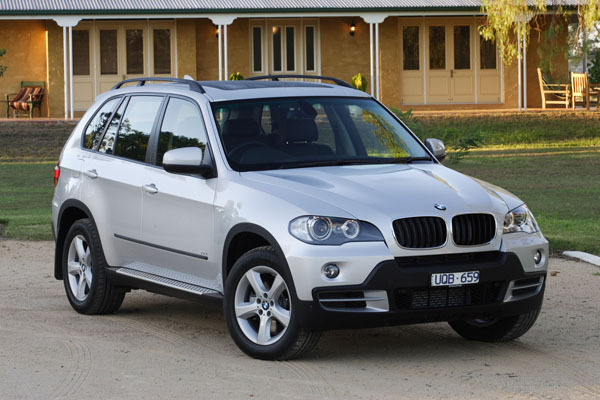 Again moving with the times the X5 gen-three introduced the option of 2WD (the rear wheels) and four-cylinder engines. The all-wheel-drive variants are called xDrive in BMW speak. Major tech upgrades included BMW Office functions for emails, appointments, contact lists, calendar entries and notes on the control display. As well as voice-to-text for SMS and email messages. Thought the third generation still carried a fair bit of SUV in its shape it had a slightly less aggressive look to match its SAV tag. Comfort in the X5 is almost car like, but if the driver does become enthusiastic in attacking corners the passengers may not appreciate the relatively large amount of body roll. Don’t forget this is tall wagon, not a low sedan. Petrol engines are straight-four (from early 2014) straight-six and high-performance V8s. The eights are popular, not a surprise as typical BMW drivers do like to drive hard. The sixes are pretty good and arguably provide enough grunt for many. The fours are surprisingly good and certainly deserve consideration. Turbo-diesel engines come in four- and six-cylinder format. Transmissions are virtually all automatics, unlike the earlier generations where a few five and six-speed manuals were imported. The auto had six forward ratios until an eight-speed unit was introduce in July 2010 and is the one to aim for if your budget can handle it. Servicing should be left to the experts, though you can tackle some of the minor jobs yourself. The BMW dealer network is large and efficient, dealers are more in the metropolitan areas than in the bush, though some of the larger country cities are expanding into this field. We have heard of no real complaints about spare parts availability and only the occasional comment about high prices. Prices that don’t seem to be unreasonable to us when we investigated them. Insurance costs are about average for an SUV in this upmarket European class and there doesn’t seem to be a large variation in cost. A complete service record from a BMW dealer is a big plus. Some ex-BMW mechanics will have set up to work on their own and are a well-regarded alternative. Cues as to off-road use – a rarity and probably only on forest trails – include scratches on the body sides caused by squeezing past bushes and trees and scrapes on the under bumper areas, perhaps even underbody damage. Have a good look over the interior, particularly in the back seats for signs of rough treatment by bored kids. Be sure that the engine starts easily; even the turbo-diesels are modern fast-start units. The engine should idle smoothly from the moment it fires up. It’s important that a non-turbo engine pulls strongly without any initial hesitation and doesn’t blow smoke from the exhaust when the throttle is floored. Diesels will have some turbo lag when accelerating, but this improved with each new-design and multi-turbo setups. If you feel lag is bad have a professional check it out. The automatic transmission should work almost imperceptibly. Run through the sequential functions for speed and accuracy of engagement. Budget on paying from $12,000 to $17,000 for a 2007 BMW X5 3.0i; $17,000 to $24,000 for a 2008 X5 3.0d; $21,000 to $28,000 for a 2009 xDrive 48i; $31,000 to $42,000 for 2010 X5 M; $38,000 to $51,000 or a 2012 xDrive 50i Sport; $47,000 to $61,000 for a 2013 xDrive 50i Sport; $59,000 to $79,000 for a 2014 xDrive 40d; and $110,000 to $145,000 for a 2016 M.
Cars owned by social climbers who are stretched in their finances may not have been serviced correctly due to lack of money. Make sure you check the logbooks in detail.